Situated on the eastern slope of Pilot Mountain, North Carolina, and nestled in a wooded landscape, our individual log cabins are designed to provide you with the rustic charm of yesteryear along with the comforts we enjoy today. Surrounded by vineyards and wineries, and located in the center of the Yadkin Valley Wine Region, step back in time and enjoy the tranquility surrounding the Historic Rockford Inn Bed and Breakfast. Our Antebellum house (ca. 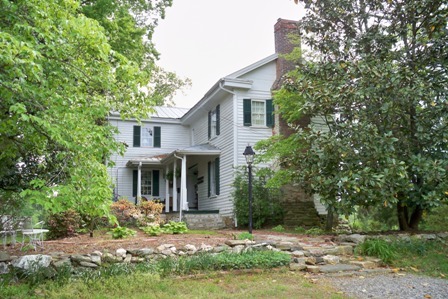 1848) situated at the crest of more than 6 rolling acres, will provide you with the simple pleasures and charm of country living while enjoying modern conveniences.